Historian Harvey Graff writes about the rationale for literacy teaching in the mass-institutionalised education of the nineteenth century. The nineteenth century saw a realization of many of the hopes of the eighteenth-century Enlightenments, in the context of societal transformations that moved a largely preindustrial, “premodern,” and agrarian transatlantic world into one much more like the contemporary landscapes. It was a key century for literacy—its diffusion reached new heights; its legacies and traditions interacted complexly with the newer processes of change. A set of interrelated developments of the greatest moment was taking place: the origins of our times. Relatively new forces joined the stage in the nineteenth century, interacting with familiar ones to form new configurations. The relationships between literacy and industrialization, urbanization, commercial development, migration, political developments, centralization and institutionalization, technological advances, population changes, and related aspects of social change often have been regarded as linear, but they are much more complicated, often contradictory, and require more sustained attention and more subtle understanding than previously permitted. The received wisdom sees the period as one of institutional, public educational reform and growth. The major social transformations are seen as forces promoting the development of schools, at least in the long run. With that development came the growth of schooling and the renewed spread of literacy. Whereas interpreters differ as to whether the stimulus for educational expansion came mainly from above or below, or whether its motives were benevolent or more coercive, they tend to concur on the results seen in various indicators of growth: school enrollments, attendance, buildings, resources expended, teachers recruited and trained, institutional systemic evolution, centralization and bureaucratization, and literacy rates. Even if potentially disruptive at first, the course of urban and economic development and the increased role of the state are viewed as contributors to literacy and schooling’s progress. Literacy and schooling are much more closely allied, and posited to be more often related casually, than in previous eras. The relative novelty of literacy’s advancement in the imputedly more “modern” regions of the West is commonly stressed. And, naturally, changes in technology that underlay a rapid growth in the volume, distribution, and differentiation of printed materials are subordinated, interpretatively, to asserted sources of demand from “new reading publics” that serve to propel supply in direct response. Some hold these developments to be positive, liberating, and democratic; others find in them sources of cultural division and decline. When the simplicity of largely linear explanation is punctured by evidence and conceptually grounded analysis, normative accounts fail swiftly. Opinions vary on the motivations for expanding schooling and for the popular reactions to these opportunities. One view attributes this expansion to the efforts at “enlightenment” of benevolent sponsors who were working for the good of the people and society, despite the opposition of traditional elites and political leaders who saw no need for popular schooling, and despite the perceived ignorance and materialistic self-interest of the masses. Other historians see the working class itself as the activating force, as using the expansion of schools to advance its own interests and place within society. A third view stresses the role of the state in developing school systems in order to further political, social, and economic ends—for example, to instill in the masses proper values and attitudes and to develop needed work skills. Each of these approaches is at base a model of linear, progressive, or evolutionary change. The circularity of such normative interpretations cries out for new perspectives and new approaches. To a post-Enlightenment, nineteenth-century West, education stood out as a god and an engine of progress. Faith in its beneficial results, for states, societies, and individuals, was one of the premier tenets of the world view that emerged in the era. The diverse efforts to promote the ideals and the variety of means to fulfill them led to the founding of mass institutions on an unprecedented scale. The school itself took on a new form and meaning in this context, and with it, literacy acquired a new significance. That was one monumental nineteenth-century contribution. The meanings and values of literacy—traditional and more novel—were brought together: in thought and theory, and in efforts to realize them in practice. The meanings of literacy also expanded. It now stood more than ever before as fact and symbol. With changes in patterns of work and residence and with the expansion of service and technical work spheres, practical and functional needs for literacy grew. Economic needs for reading and writing reached unprecedented levels. There are good reasons not to exaggerate this critical development, or to reify it. Some contemporaries clearly did; more recently commentators and “modernization” theorists have done so. That is an important legacy. The needs and uses for literacy a century and more ago were more subtle, however. It was during the last century that the individual need for at least basic education became identified as a fundamental prerequisite for advancement or social mobility. For employers, a new emphasis on “educated labor” became a familiar refrain. Educated labor—that is, properly schooled workers—possessed a number of qualities: punctuality, respect, cleanliness, discipline, subordination, and the like. A controllable, docile, respectful work force, willing and able to follow orders, was one of the chief needs of commercial and industrial enterprises during a century of economic transformation. Literacy’s place was not always as a skill or technology in such formulations. It was the best medium for tutelage in values and morality, it was discovered during the first half of the nineteenth century. As societies changed under the massive structural transformations that moved the West, new and different forms of social cohesion and individual training were desperately required. In the search for the solutions to this kind of social problem, the power of formal, large-scale institutions was discovered. The first few decades of the century saw the passing of most Western opposition to schooling the masses. That does not signify that mass schooling followed logically in its wake, as the histories of Spain, Portugal, and Italy, for example, demonstrate. Although that opposition differed from place to place, the educational solutions reached were often surprisingly similar in goals and content, if not always in timing, extent, legislation, and structure. Changes in social context—at vastly different rates—involving the transformation of economic and social relations joined with the newer modes of social response to promote new goals for education, including a new place for literacy. Disappearing were traditional elite attitudes that had stressed fears of an educated and literate laboring and working class, discontented with its traditional position of deference. Instead, it came to be accepted that the masses should be schooled properly. The emergent consensus stressed schooling for social stability and the assertion of appropriate hegemonic functions. This view emphasized aggregate social goals— the reduction of crime and disorder, increased economic productivity, and, first and foremost, the inculcation of morality—rather than the more individualistic end of intellectual development and personal advancement. Dominating the rhetoric promoting systems of mass schooling, these goals represented primary motives for controlled training in literacy. Literacy alone, however—that is, isolated from its moral basis—was feared as potentially subversive. The literacy of properly schooled, morally restrained men and women represented the object of the school promoters. Emphasis on the controlled provision and use of literacy was not new to the nineteenth century. There had been previous similar efforts, by religious groups who agreed on the need to morally uplift the poor and working classes and competed for their souls. Religion, especially a reforming Protestantism, was a major dynamic force in those few societies that achieved near-universal adult literacy before the nineteenth century. Reading the Bible was the vehicle for this impulse; religious indoctrination derived from the moral message of this print. This action was not so much intellectual or liberating as it was ritualistic and conservative. The level of literacy, moreover, need not have been high: a proper or deep understanding of the words was not essential. Literacy, however nominal, signified in theory the observance of an ordained and approved social code. Neither the Enlightenment nor “secularization” in the nineteenth century erased that aim. By mid-century, diverse educational promoters and religious groups agreed in their motives for literacy training; their goals were institutionalized in developing systems for mass education, regardless of sponsorship. Schoolmen, while proclaiming increasingly that education should be nonsectarian, continued to stress Christian ethics and moral training. The moral bases of literacy accompanied the shift from a moral economy to a political economy in Western Europe and North America from the late eighteenth through the nineteenth centuries. It developed in response to sweeping societal transformations and efforts to comprehend and interpret those changes. 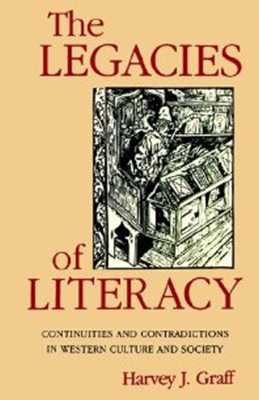 Literacy was expected to contribute vitally to reordering and reintegrating the “new” society of the nineteenth century; it represented one central instrument and vehicle in the efforts to secure social, cultural, economic, and political cohesion in the political economy of the expanding and consolidating capitalistic order. Popular behavior and presumed needs for social learning attracted the attention of many concerned individuals, including those dedicated to the reform of society and the reformation of the masses constituting that society. In many activities that sought to reestablish integration and recreate social order, they developed a conception of literacy rooted in morality and of literacy as an instrument of social stability in a time of change, facilitating both progress and development without (or with a diminished) threat of disorder. Formal education, through the structured provision of literacy, was intended to elevate and assimilate the population to insure peace, prosperity, and social cohesion. An efficient and necessary substitute for deference, education would produce discipline and aid in the inculcation of the values thought required for commercial, urban, and industrial society. Changing modes for training in social morality and restraint, and with them a new role for education, were responses to complex social and economic changes rooted in the transition to a mercantile and, later, an industrial capitalist order. Institutions formed one response to new requirements and demands: to meet perceived threats of crime, disorder, and poverty; counteract cultural diversity; prepare and discipline a work force; and replace traditional popular culture with new values and habits. These problems interacted to heighten the need for action and to hasten the pace of institutional response. Culturally, customary routines and rhythms had to be replaced by the punctuality, regularity, docility, and orderliness required by the new society. Socially, the place of traditional expectations of inheritance of position was preempted by a promise often implicit in education: the triumph of achievement over ascription, or at least the need for individual attainment. Despite this new ideal, specific occupational skills and cognitive traits remained less critical than character, behavior, habits, or attitudes in moral economic formulations. Literacy’s role in this process was complex, for the way in which it was to be acquired and the setting for instruction were obviously crucial. Both pedagogical method and institutional structure were elements in the inculcation of morality, in education’s struggle lo create proper restraint and modes of conduct. These processes, and literacy’s place within them, were those of control and hegemony, as social relations and work patterns were reformed in accord with other transformations. The largest goal of schooling and controlled provision of literacy was the process j of recreating cultural hegemony. Hegemony is the result of a complex and subtle process, conscious and unconscious, of control, in which the predominance of one class is established over others, by consent rather than by force. In this formulation, it is achieved by the institutions of civil society. That is precisely what most promoters of education sought to accomplish. It lay at the heart of their efforts to reform and systemize schooling to embrace all the children in controlled instruction. The development of hegemony, they learned, depended on a “level of homogeneity, self-consciousness, and organisation” reached by a social class. Neither narrowly economic nor crudely imposed or conspiratorial, their actions derived from a recognition of the needs of society and the oneness of social interests. The task was to achieve that; the school and literacy were the instruments—through disseminating the message of the moral economy—for stability and cohesion. The attributes that educational promoters attempted to instill in their pupils, particularly the children of the poor and the laborers, constitute what I call the moral bases of literacy—the major purpose of public primary education. These values, central to nineteenth-century educators and to the society for which schooling was to prepare men and women, reveal the perceived connections between the school, the society, and the economy. Morality underlay social relations, social order, economic productivity, and the development of hegemony. The inculcation of values, habits, or attitudes to transform the masses, not skills, was the task of I schooling. Literacy properly served as the tool for this training in a close and reinforcing relationship with morality. That was a source of cohesion and order, and the defense of progress in a developing and modernizing capitalist society. Schooling and the transmission of literacy, in its institutional role, held out an obvious appeal to many. Virtually all nations in the West attempted to respond to the appeal, some much more successfully than others. A traditional force in society, albeit restricted, education could be remolded and redirected—and greatly expanded—to serve its new social roles, not the least of which was the resurrection of restraint and control in times of rapid and disruptive social change: for stability and cohesion, and now for progress. The language of morality reveals a continuity of concern for hegemony and control—in new forms and for new goals—and an emphasis in social thought and perception on the moral failings of individuals and classes as sources of society’s severe problems. Despite resistance and conflict, efforts to reimpose control were established, and in some places succeeded in embracing the great mass of children and in providing them with some measure of schooling. Literacy had important functions to serve. For other persons and in other places, responses and uses differed—sometimes greatly. … There is no doubt that literacy had great importance to diverse individuals and groups … . It contributed to progress in occupation and wealth, cultural participation and acquisition of knowledge and information, struggles for organization and power, abilities and skills, and consequent senses of self- and social worth. Similarly, but not always directly, literacy had a place in the processes that have come to be called “modernization”: social, political, and economic development. Literacy’s roles and meaning were complex, but a balance needs to be drawn. What is required is the continued application of the concept of social and cultural contradictions. Contradictions should be expected as key aspects of social development whose understanding demands a sensitivity to their presence and their role in the developing social relationships that make up the essence of history and sociology.